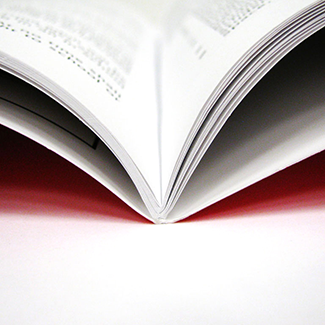 QPS offers economical Saddle Stitching services for publications up to 40 pages (1/4” thick). We can handle just about any job imaginable from long runs to short runs. Ideal for calendars and newsletters, stitching involves binding folded signatures (printed sheets with multiple page images) by driving staples though the centerfold. We can take your hard copies and place them into our digital presses and they will automatically paginate your document, saddle stitch and fold them. They will be the impressive document for your next presentation you need. Digital files no problem. Our digital presses have the software to paginate your file and print beautiful booklets for you in no time. You’ll never have a product or price advantage again. customer service culture can’t be copied.